This is a fantastic chronograph having bold design. This Citizen Chronograph has a masculine design with great functionality. This watch has Quartz Movement and hence very accurate. It works with the caliber of F500.This Men’s Watch has Quartz chronograph movement which is more reliable than any other mechanism. The tachymeter scale is available around the outer rim. With this tachymeter it shows speed in kilometers per hour. The case and bracelet of this watch are made up of Stainless Steel. The dial has Crystal Glass over it for better protection and clear view. The White Dial is very bright and easy to view. The Luminous Hand and Hour marker are very efficient and are easily visible in dark. 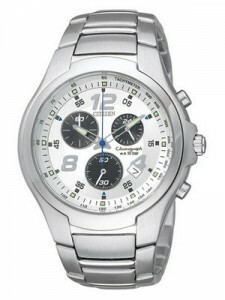 This Citizen Mens is equipped with Chronograph features and is very useful to measure the elapsed time. Chronograph is useful and works well. The small sub dials give you the accurate measurements simultaneously. One of the chrono dial shows the 24 hours. The date displaying window is present at 4 hours position. The watch is very attractive, very elegant looking, and it is worth every dollar. The water resistant of this Citizen Mens Watch is 100 meters which makes this watch ideal for the swimmers. The Case Diameter of this watch is approximately 40 mm. It is a fine performer for a casual day wear watch. This is a nice day watch if one has the kind of amount for a 2nd or more dressy or sporty watch. 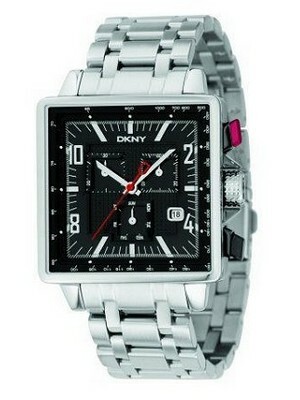 This Men’s Chronograph Watch is obviously a function oriented watch – yet it successfully combines utility with style. 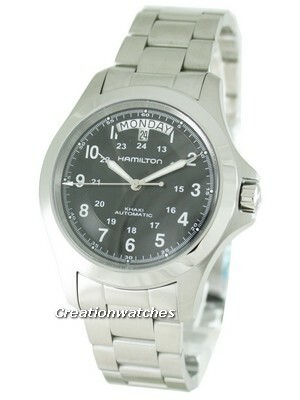 This watch is available for US $99.00 with us.